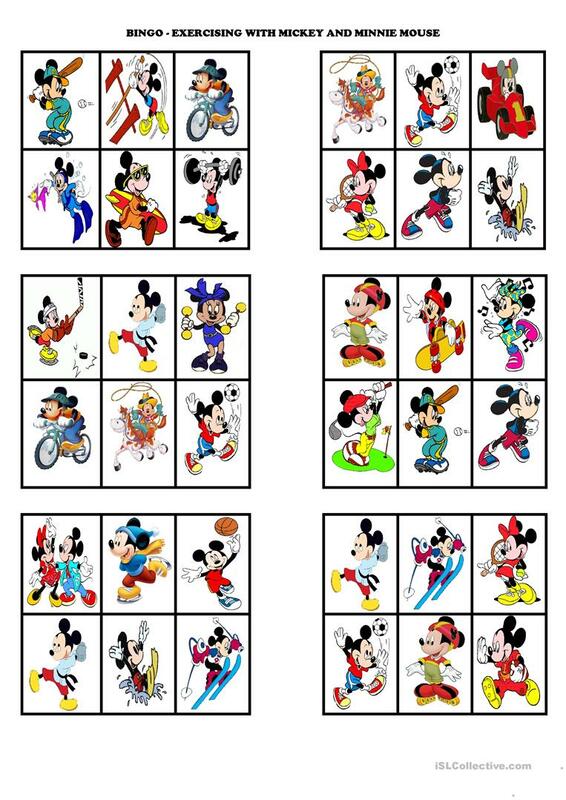 BINGO - "Exercising with Mickey and Minnie Mouse"
Some bingo cards to practise sports. This downloadable handout was created for elementary school students and kindergartners and nursery school students at Elementary (A1) and Pre-intermediate (A2) level. It can be used for developing your learners' Listening and Speaking skills. It features the vocabulary topic of Sports.